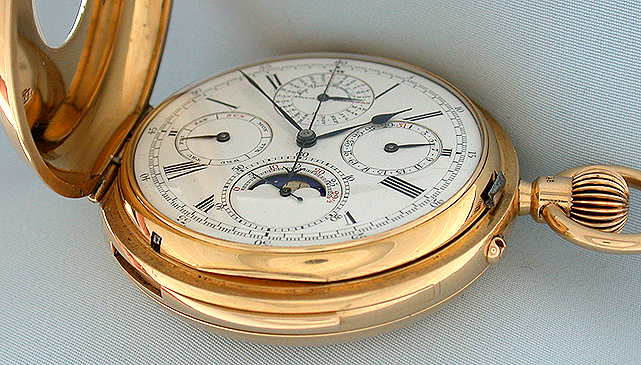 Very fine English 18K gold half hunter minute repeater perpetual calendar chronograph by Benson, Watchmaker to the Queen, London, circa 1898. 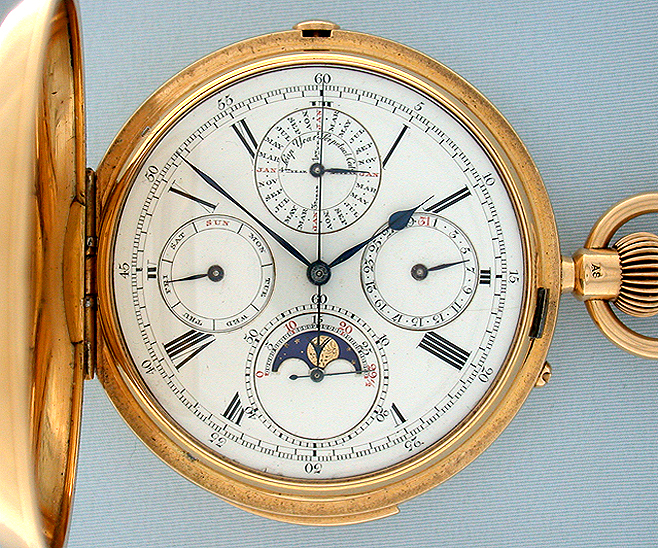 Fine white enamel dial (insignificant hairlines) with subsidiary indications for seconds, day, date, and month, aperture for moon phases, and blued steel hands. Plain polish case with recessed chronograph button and recessed repeat slide, the hours on the cover in hard enamel. 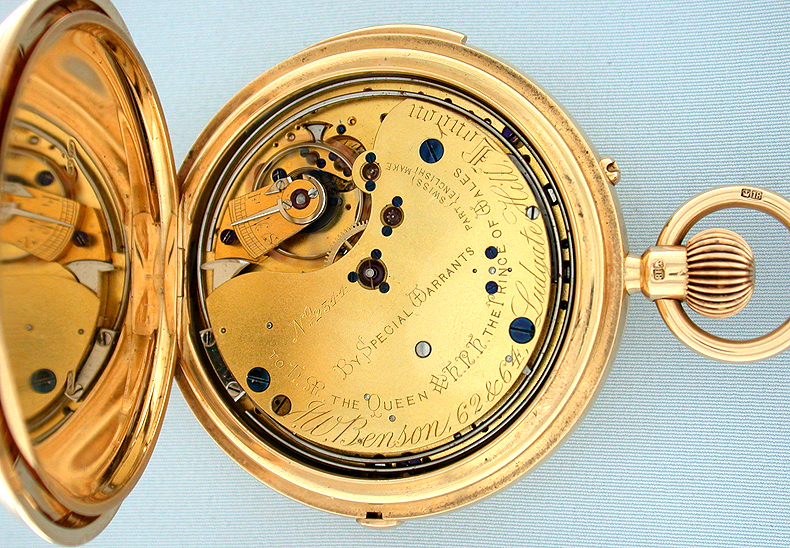 The first quality Swiss/English 20 jewel gilt 3/4 plate movement engraved with royal warrants. 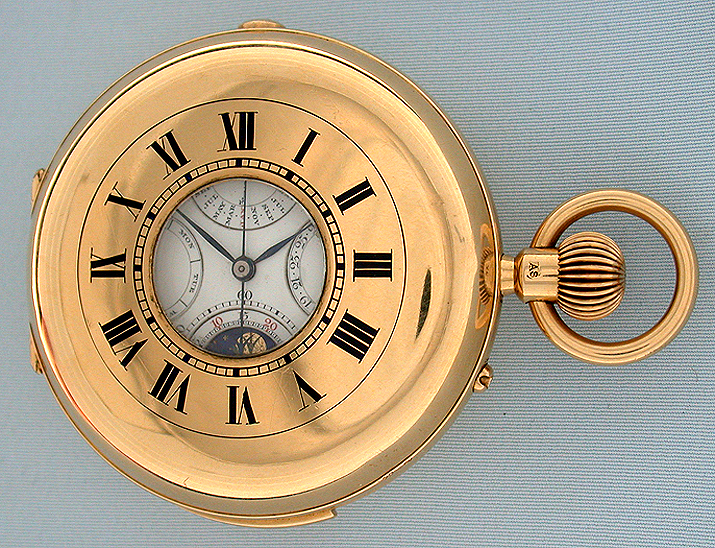 A most attractive watch with loud, clear tone. 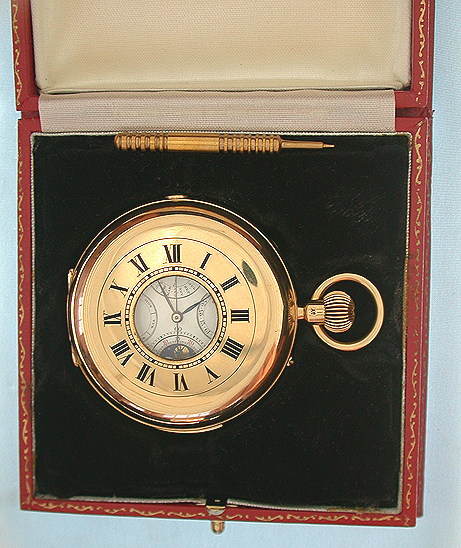 With fitted leather box. 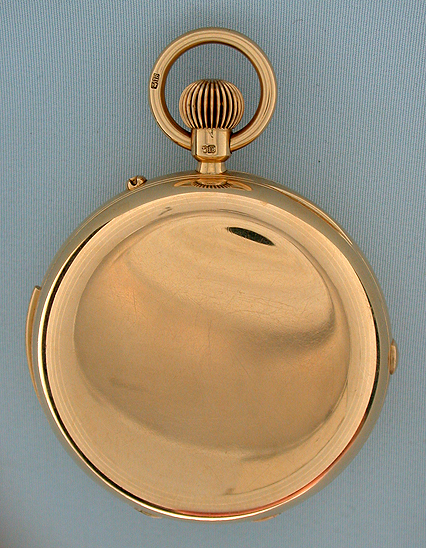 The various parts of this case are individually hallmarked in the English style, and every part has the date letter for 1898 except for the cover which has the date letter for 1920, which leads to the speculation that this watch was converted from a full to half hunter at that date, which would also account for the absence of a double spade half-hunter hour hand.